Jake Cuenca talks about his new projects with Cristine Reyes and Roxanne Guinoo plus his closeness with Melissa Ricks. Jake Cuenca will be reunited with Cristine Reyes in the newest TV adaptation of Precious Hearts Romances. “We’ll be doing a project very, very soon. Medyo mahaba-haba ito ng konti kaysa nung ginawa namin nung una na one week lang. It's going to be aired around Christmastime. Antayin ni’yo na lang yung trailer. Malapit na po yun. Para sa lahat ng kinilig nung Bud Brothers, this is another offering for our supporters,” he began. Though they were previously plagued with intrigues about their working relationship, Jake insisted that he and Cristine are definitely on good terms. “Nagkausap na kami ni Cristine. Like I’ve said before, yung mga lumalabas na issues hindi ako naniwala, not even for a moment. Even when she was just starting out we were already good friends. I really valued our team-up sa Bud Brothers. So ito na yung isa pang pagkakataon [para magkatrabaho kami ulit]. Both of us are very excited. Pictorial pa nga lang ang taas-taas na ng energy namin,” he shared. Aside from his controversial team-up with Cristine, Jake will also be paired with Roxanne Guinoo who has always been in his top three of favorite leading ladies. 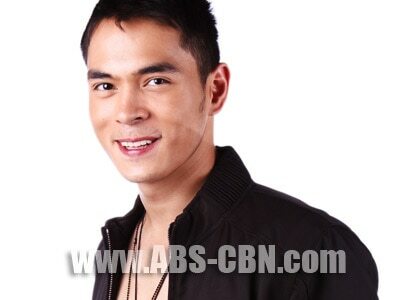 “Swerte lang ako na itinatambal ako sa mga leading ladies na tulad nila Kim (Chiu), Cristine, and especially Roxanne. Isa na naman itong opportunity para magamay naming ulit ang isa’t isa. And nag-pick up talaga ang careers namin when we were teamed up together. Kaya nung inoffer sa akin yung project hindi na talaga ako nagdalawang isip. Sabi ko, ‘Go, I want to do it,’” he exclaimed. Jake was also supposed to do a project with his rumored sweetheart Melissa Ricks, but she was instead suddenly paired with Jolo Revilla in Pepeng Agimat. But even though they won’t be working together anytime soon, they’ve been supposedly closer than ever off cam. The two of them were practically inseparable backstage during the Star Magic World Tour concert last Friday, November 13. An entertainment reporter even claimed to have seen Melissa sitting in Jake’s lap, but the two still insist that they are just good friends. He also denied that the reason why he can’t pursue Melissa is because of her strict mom. “Hindi, nakausap ko nga yung nanay niya kanina, wala namang problema. Kami ni Melissa we’re just really friends by choice and siguro hanggang dun na lang talaga,” he reiterated.